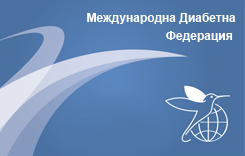 Prof. Maria Damyanova - D.Sc. The effects of Samento are unproved in patients with type 1 diabetes! Samento contains alkaloids from Uncaria tomentosa (landrace in the forests of Amazonia cat's claw). Manufacturers of Camento (capsules and liquid extract) claim that this product is the most powerful herbal immunostimulant and immunomodulator known so far.